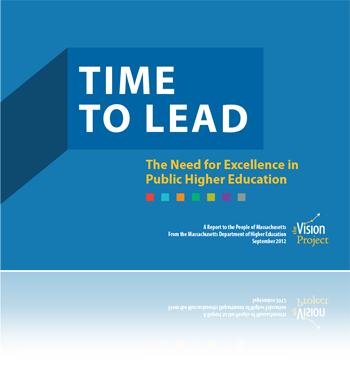 Released September 20, 2012, Time to Lead: The Need for Excellence in Public Higher Education, is the first Vision Project report offering a full accounting of where public higher education stands in comparison with other states and describing a statewide strategy for reaching our goal of national leadership. Why is it "Time to Lead"? The "Time to Lead" does not end with the release of this report. Join our mailing list to stay informed about the Vision Project, new data analyses, and other public higher education news.